The weather has turned in the UK, neatly timed with our maiden voyage on the good ship Oakmere. This has been a long time coming – first seen at Overwater over a year ago, it has been an impatient wait to complete the share swap from our previous boat, Winthorpe. It is a glorious boat with a dedicated engine room, something even the beloved admires. 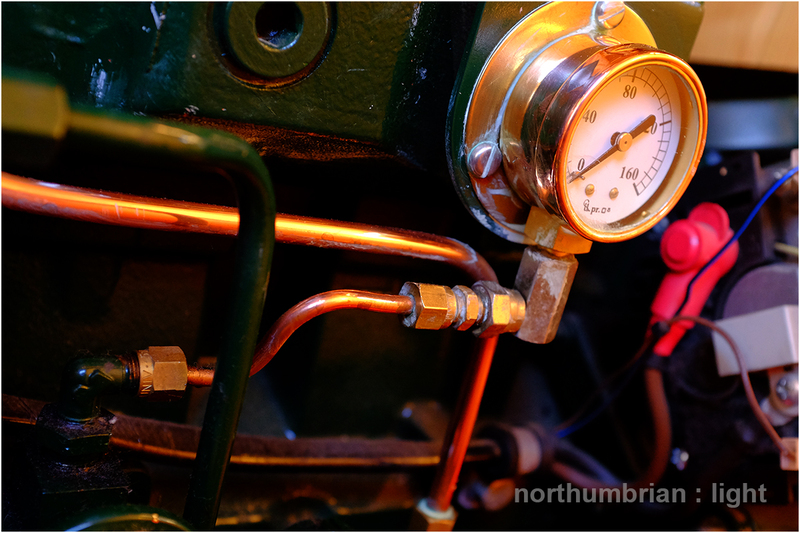 It also has traditional controls – engine speed is managed by a small brass wheel and forward/backward gears by a push-me/pull-you brass lever, not unlike the gearing on a 2CV 🙂 . 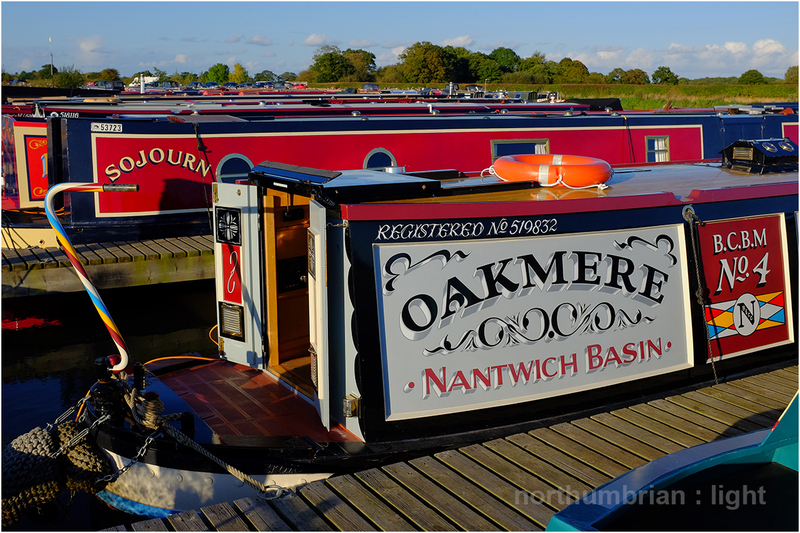 I have used this system just once before on the Northwich Trader, Florence, so it was a challenge to exit the marina without any embarrassing collisions – mission accomplished. The trip down to Nantwich was completed under blue skies but this morning Autumn has kicked-in with a vengeance. There are many good things about the new boat, best of all, the full width bed that pulls out from under the tug deck; when the wind and rain is attacking the cabin sides, it is just too tempting to hibernate. 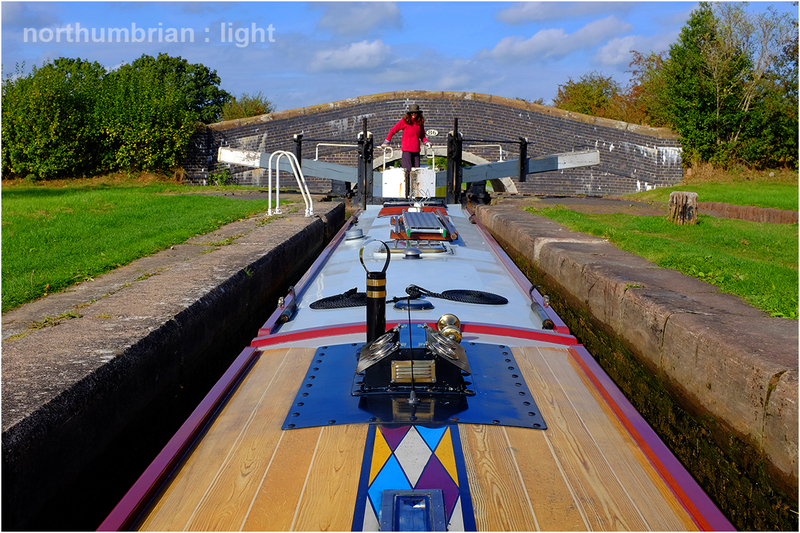 Next stop Wrenbury if we can ever be persuaded to emerge. (Apologies to followers, I am only posting for the next two week due to the limited availability of a decent 3G signal). 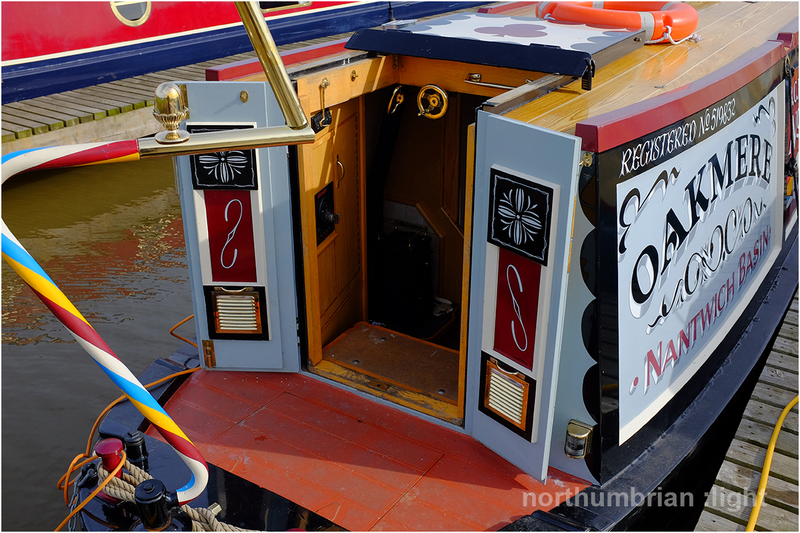 What a wonderfully decorated narrowboat. I’d love to have been on board. Thanks Julie 🙂 … darn, I knew I had forgotten something! Beautiful boat, Bon Voyage! look forward to the photos! Fascinating — I look forward to more photos!! 😀 That reminds me – Mr Blue Sky – I watched ELO on BBC4 the other night – they/Jeff Lynne still sound magnificent. I did a quick search….do you have photos of the inside?